What do you love most about the fantasy genre, and what made you want to dive in on such an epic scale? Back in 2015, when the book was first announced, you teased that it would be an “African Game of Thrones.” Obviously, the two works have a lot of differing elements, but in your opinion, what do they share that made you make that comparison? Many people’s first exposure to Game of Thrones came through the HBO show. Do you think Black Leopard, Red Wolf could ever be adapted into another medium, or would you even want it to? I was going to ask you about Black Panther, since I’ve seen it mentioned in reviews of Black Leopard, Red Wolf. How do you feel about having your book compared to the film? James: I mean, I loved it. I saw it four times. It was so reaffirming, in the sense that we could look at Africa as a place of fascination and glamour and so on, and of course realising it’s fantasy. African reality doesn’t need help to look beautiful and sophisticated. They’re already there. But it wasn’t about that. It was about using Africa as a playground for the imagination, which I think is really interesting and really radical, because yes, we can see lots of contemporary and realistic books about Africa. Certainly, we’ve read tonnes of them. But when we go back to imagination and those things that go bump in the night, we run back to Europe. 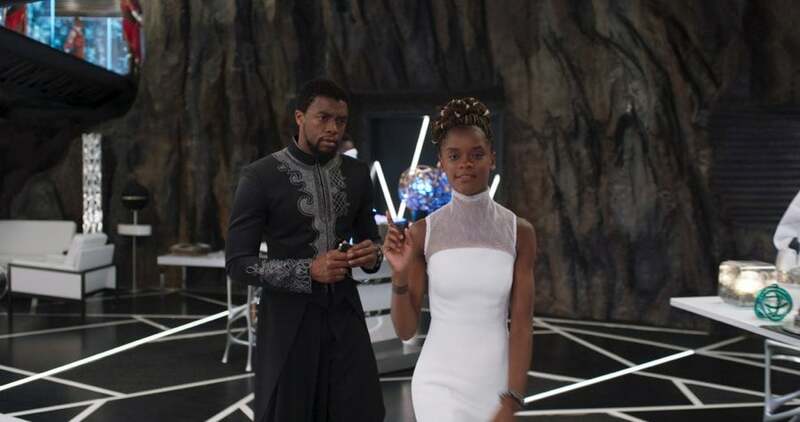 And I think in that sense, [Black Panther] was fantastic. Even more so, I love seeing six-year-old black children dressed up as T’Challa for Halloween. It’s like, “Yeah!” I would have killed for an action figure who looked like me back in the 1970s. I’m not clamouring for representation, but those things mean something. You can take for granted when your presence is everywhere. When it’s not, you realise what a big deal it is to have a black superhero, and a black film done with so much pageantry and mastery. What excites you the most about how the fantasy genre has evolved in recent years? What would you like to see happen in the future? Going along with Spider-Verse, I read that you’re a huge comic book fan, specifically of the X-Men—why that series in particular? James: Oh yeah. I’m an O.G. fan of the X-Men. I’ve been reading the X-Men since 1981. If you read X-Men in the early- to mid-1980s, being an X-Men fan was kind of like being an actual X-Man. Chances are, if you got the X-Men super early, you were a nerd, too. You were a reject. You were disliked and felt like you didn’t belong. And I felt all of those things. It just tapped into my nerd gene. As I grew older and I realised that I was queer, and all of that, this team just spoke to me. They were so outlaw, even the other superheroes didn’t like them—and really, when you’re a lonely, confused, depressed kid, that promise of 22 to 24 pages of “Zap! Pow!” with people who are more like you than your own family, that becomes a lifeline. Certainly for me, when I was growing up. I don’t know if I would have made it this far without those X-men, without those mutants. So they’re very, very important to me. And, finally—getting back to your Dark Star trilogy, I read that the next two books will explore the same events of Black Leopard, Red Wolf, but from different points of view. Why are you choosing to do that instead of the more traditional approach of continuing the story? 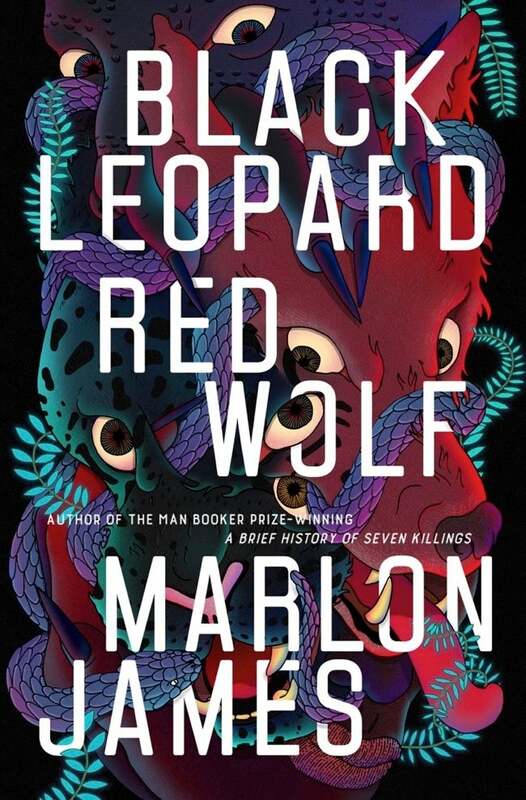 Marlon James’ Black Leopard, Red Wolf is out now.